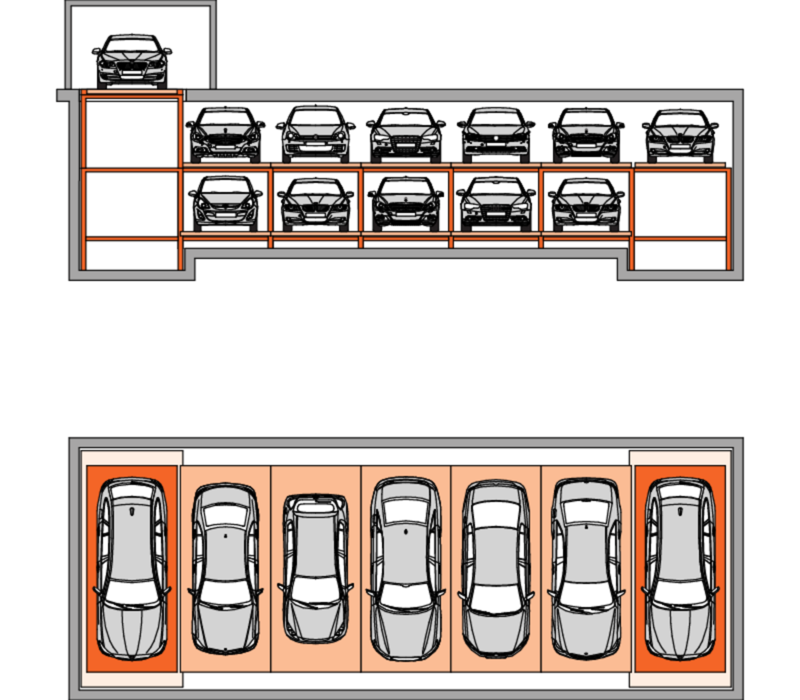 The single-row surface system with lift and horizontal conveyor can be designed with up to five levels depending on the number of parking spaces per level. 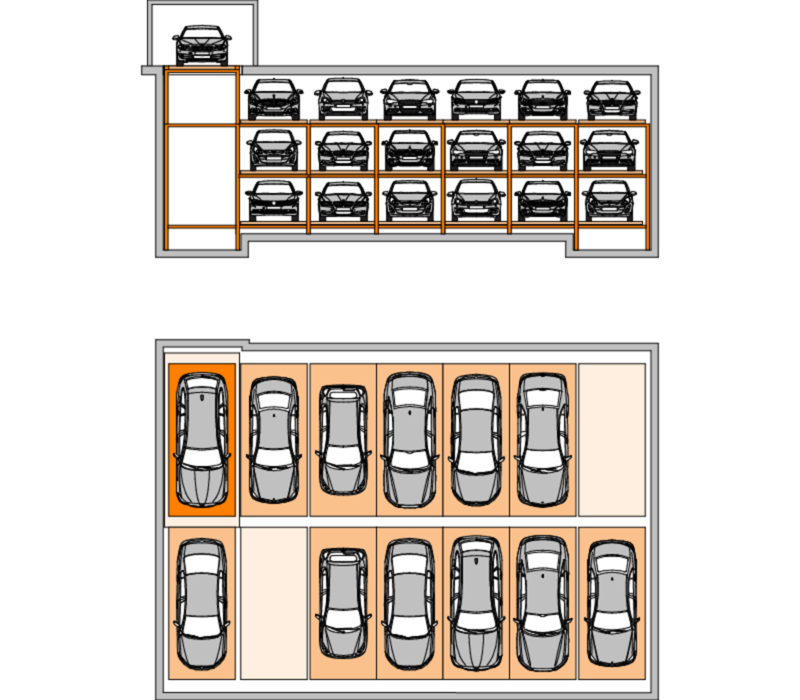 With the type MasterVario F2, up to 50 parking spaces per system can be realised. In addition to standard passenger car dimensions and standard passenger car weights, special solutions are also available on request. An individual project adaptation is, of course, possible in many cases. 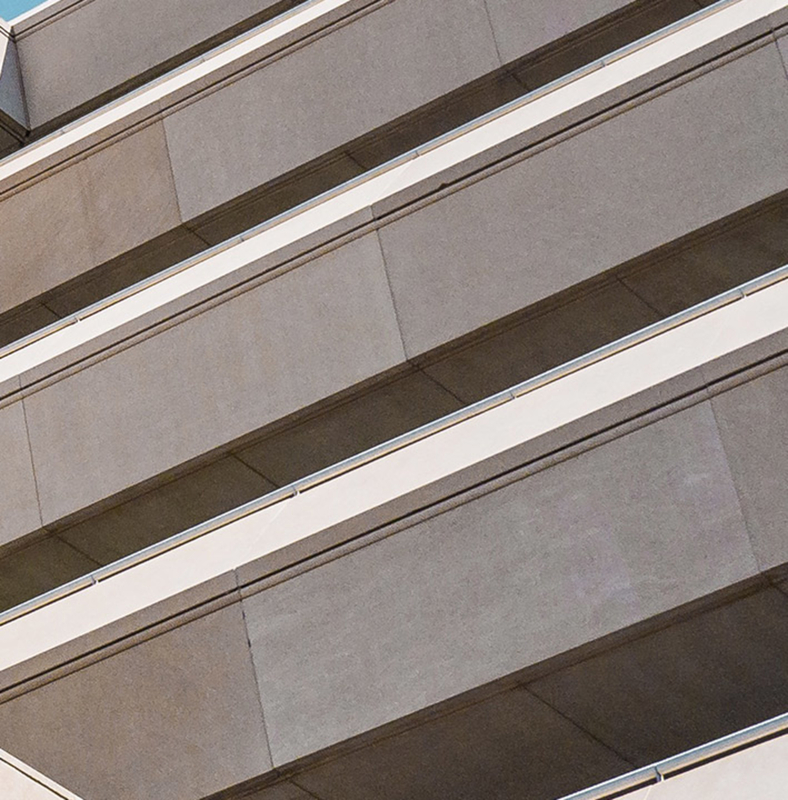 Surface system a multi-row system with lift and horizontal conveyor is ideal for up to 50 vehicles.